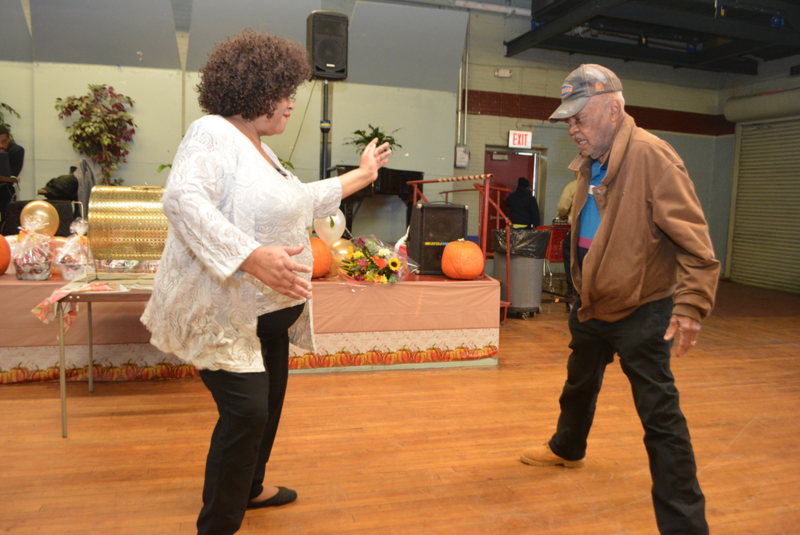 An overflowing record crowd attended the 71st Annual Thanksgiving Luncheon at the popular Mount Vernon Armory on Monday, November 21. 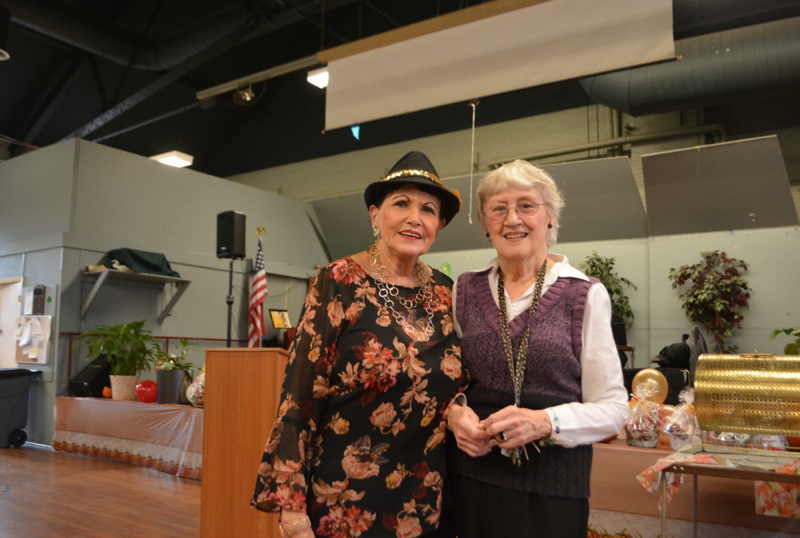 Geraldine Christiana, Mount Vernon’s Director of the Office for the Aging, once again acted as the Mistress of Ceremonies. 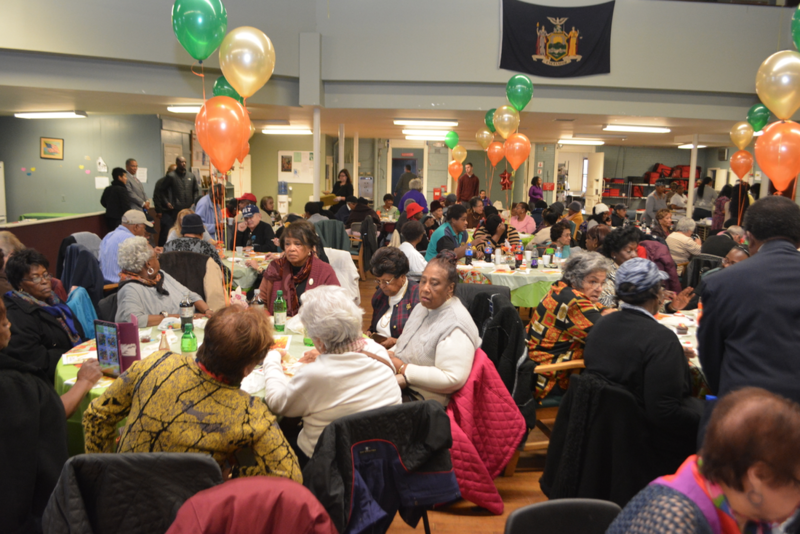 The Mayor’s Advisory Board sponsors the yearly event and this year well over 200 people were in attendance to partake in the Thanksgiving luncheon. The program commenced with the Pledge of Allegiance, followed by the invocation provided by Reverend Father Francis from Saints Peter & Paul in Mount Vernon. 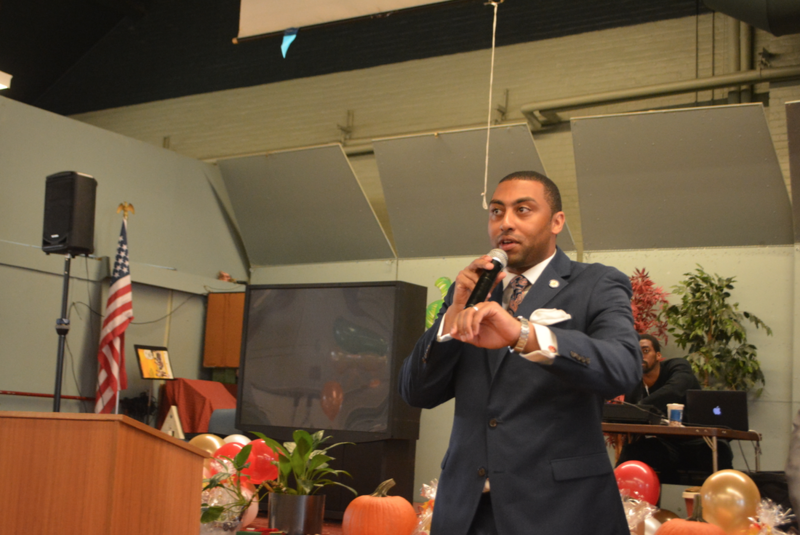 Recreation Commissioner Darren M. Morton had the distinction of introducing the many dignitaries in attendance. New York State Senator Jamaal T. Bailey received a long and warm applause when introduced. Baily donated 10 turkeys that were part of the event’s raffles. Also receiving a rousing applause was Mayor Richard Thomas who excited the crowd by telling them about new equipment destined for the Armory, including new buses. 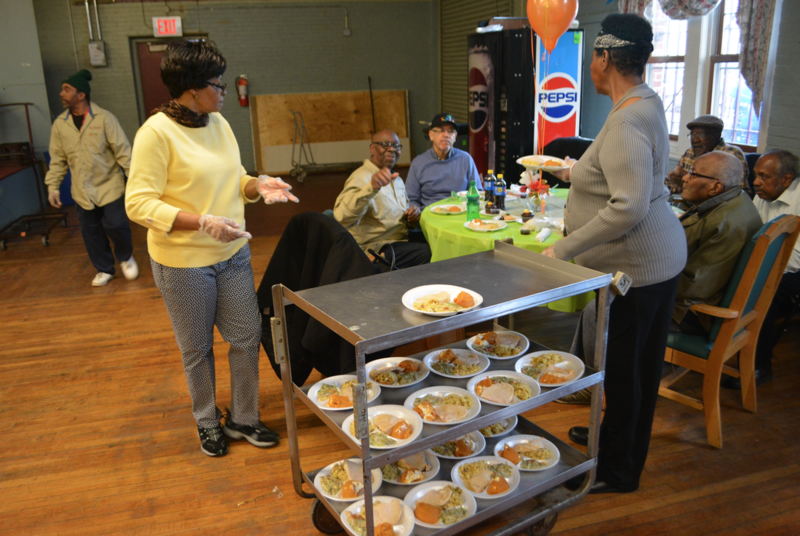 As the many volunteers served lunch, which was described as delicious by some of the seniors, some seniors danced to the sounds of a DJ. 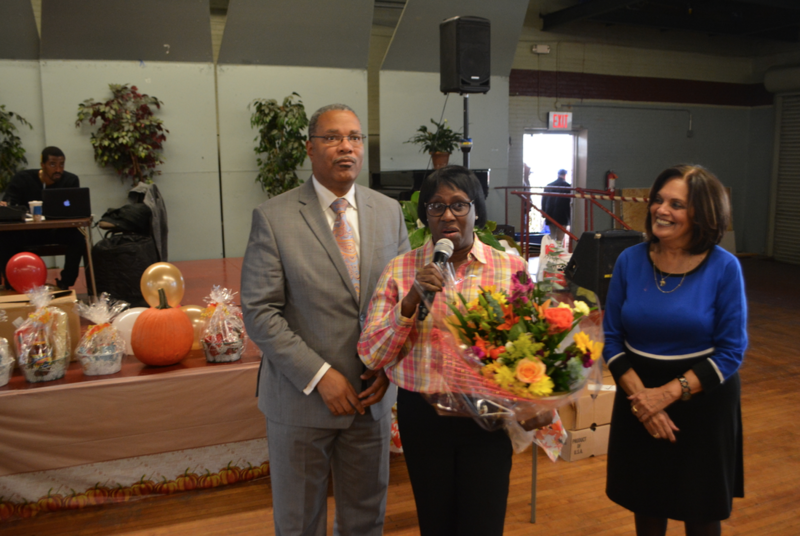 To the surprise of many, Mayor Thomas introduced Comptroller Maureen Walker and he thanked her for her 24 years of service to the city. She will be leaving her position at the end of December. “I want to thank everybody for your love and support after 24 years. I love you all and I plan on staying within the Mount Vernon community,” said Walker. Prior to the conclusion of the luncheon, the raffles took place, putting big smiles on the faces of many seniors.